The blockbuster hit of the summer, Wonder Woman, is coming to Digital HD on August 29th and Blu-ray on September 19th. Watch the official announcement from Warner Bros. Home Entertainment. As Wonder Woman continues to break records and reach new heights by crossing the $400 million mark at the North American box office becoming the 27th movie to surpass that figure. Not only is it now the third highest grossing Warner Bros. film behind only 'The Dark Knight' and 'The Dark Knight Rises' but Patty Jenkins becomes the highest grossing female director ever. Now you can own this seminal film this fall. Check out the details for the DVD home relase. — Epilogue: Etta’s Mission – Etta Candy gets the boys back together for a secret mission that could impact humanity’s future. — Crafting the Wonder – Wonder Woman finally comes to life in her first, breathtaking solo film. Explore the journey to create an adventure worthy of DC’s greatest warrior. 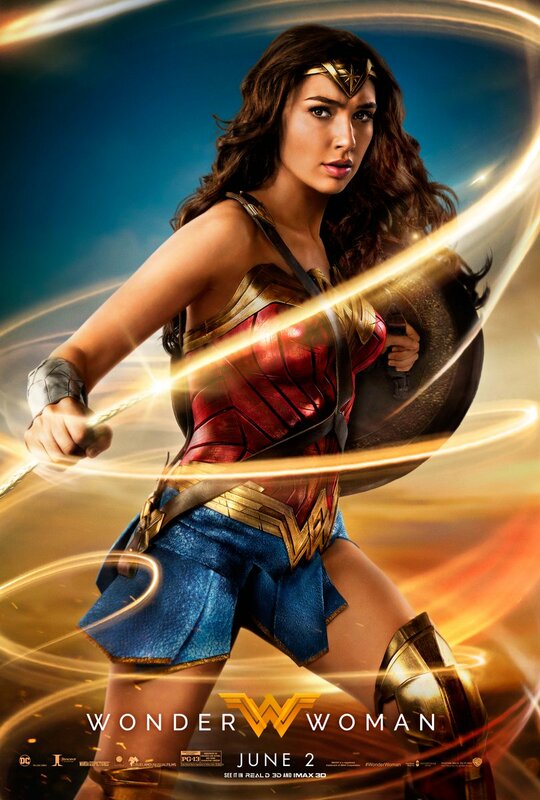 — Warriors of Wonder Woman – Witness the creation of the Amazon army as the women of “Wonder Woman” transform emotionally and physically into the world’s most powerful and heroic warriors. — The Trinity – Filmmakers and comic book creators explore the legend of Wonder Woman and how she stands shoulder to shoulder with Superman and Batman to create the pillars of the DC Universe. — The Wonder Behind the Camera – Meet the women behind the wonder as they welcome a group of aspiring filmmakers on set for an exclusive, once-in-a-lifetime experience. — Finding the Wonder Woman Within – Feel the power of Wonder Woman as award-winning poets and inspiring public figures reveal the impact and importance of DC’s greatest heroine. Wonder Woman will be available on Ultra HD Blu-ray for $44.95, Blu-ray 3D Combo Pack for $44.95, Blu-ray Combo Pack for $35.99 and DVD for $28.98. The Ultra HD Blu-ray features an Ultra HD Blu-ray disc with the theatrical version in 4K with HDR and a Blu-ray disc also featuring the theatrical version. The Blu-ray 3D Combo Pack features the theatrical version of the film in 3D hi-definition and hi-definition; the Blu-ray Combo Pack features the theatrical version of the film in hi-definition on Blu-ray, and the DVD features the theatrical version in standard definition. The Ultra HD Blu-ray, Blu-ray 3D Combo Pack, and Blu-ray Combo Pack will include a digital version of the movie with UltraViolet. 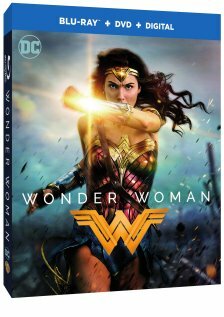 Fans can also own Wonder Woman via purchase from digital retailers beginning August 29 and on physical media September 19. Raised in a sheltered island and trained to become a warrior, Amazon-Princess Diana Prince discovers the endless war going on in the outside world. She embarks on a journey to end the war of all wars - whilst discovering her true power as well. Own Wonder Woman on Digital 8/29 and Blu-ray™ 9/19.